Timber flooring is a wonderful way to finish your loft conversion, either solid wood or engineered (4mm surface timber on top of plywood). Will my loft conversion shower room be big enough? Richard says… don’t worry, even a small space can be perfectly functional. 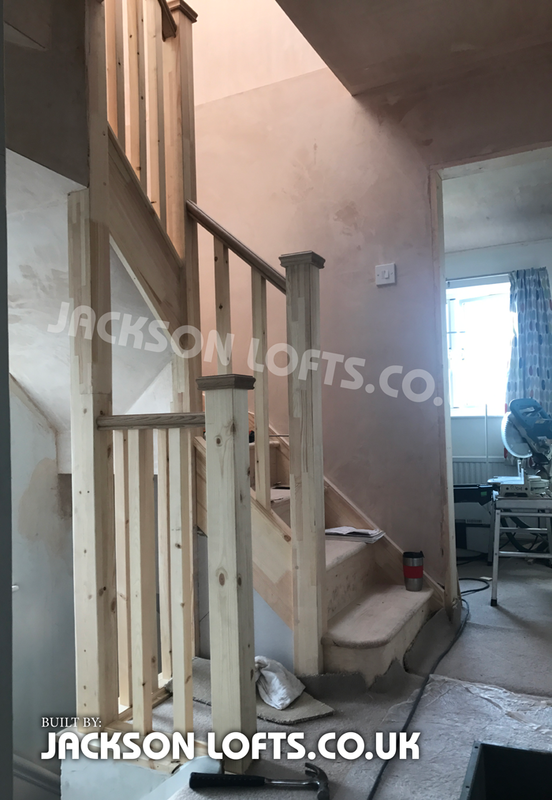 Richard uses bespoke staircases made by local Joiner’s shop. All quality redwood timber. Traditional methods used so no squeaking noise as you step from tread to tread. Richard also takes great care to match your existing newel posts and spindles, you can have them turned on a lathe, at a local workshop of your style is not available off the shelf. Beach wood is best as it is stronger.